On Benedict de Spinoza’s Tractatus Theologico-Politicus (1670), ch. 12–20 and the Tractatus Politicus (1677). What's the relationship between ethics and political power? Given that religious factions tend to create strife, what's the optimal role of the government in mitigating that damage? Is theocracy in any way a good idea? In ep. 165 we outlined Spinoza's project in the book and looked closely at how he thinks the funny bits about miracles and prophets should be interpreted. Here we focus on the political upshot: Spinoza remains convinced that religion is needed for morality and civic-mindedness, but wants to avoid religious wars, persecution, and factionalism. What's essential and inarguable about the Bible (and presumably any other religious text), he thinks, is its command to "love thy neighbor," and this, to Spinoza, is the full essence of religion, and is what should be advocated and reinforced by the state. 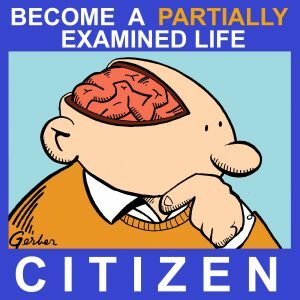 On all the other points of belief (Was Jesus resurrected? Should we eat pork? ), the state should allow people to believe what they want to and say what they want to. Does this "essence of religion" really just boil down to acting charitably, which Spinoza sometimes says, meaning it's altogether irrelevant what you believe or claim to believe? To answer this, we have to get at what he means by acting morally. In The Ethics (our ep. 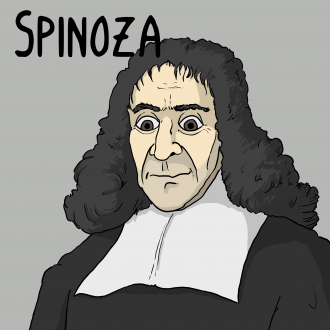 25, which incidentally you can get with a $1 pledge on patreon.com/partiallyexaminedlife), we saw that Spinoza does have a very Aristotelian notion (see ep. 147) of the relation between reason and virtue: To the extent that we are reasonable, we understand what our true good as humans is, which is to be masters of our passions, contemplative and social, and in harmony with our fellows. However, most people aren't led by reason, and so they need religion to tell them to be moral, and the state to enforce that morality. Contra the Aristotelian influence, part of Spinoza's take on ethics comes straight from Hobbes: In the state of nature, before any state is formed, there is no "right" or "wrong." Those terms are human creations, and specifically, legalisms: The sovereign (whether that be an actual king or the majority in a democracy) determines what is and isn't right, and so those terms don't even apply to those outside of a society. Our "natural right" is just the same as our actual power to achieve our desires. It's just that because of the weakness of individuals in the face of others' desires, it's in our interest to assent to being in a society. Even if that society is repressive, it's still better than chaos, and so, given Spinoza's determinism, you DO choose society (the "social contract," though Spinoza doesn't call it that). Yes, the above distinction between "good" (reasonable) and "right" (what the sovereign says) is very strange, and we discuss that (the most pressing aspect of that being, again, what if the state is tyrannical and repressive? 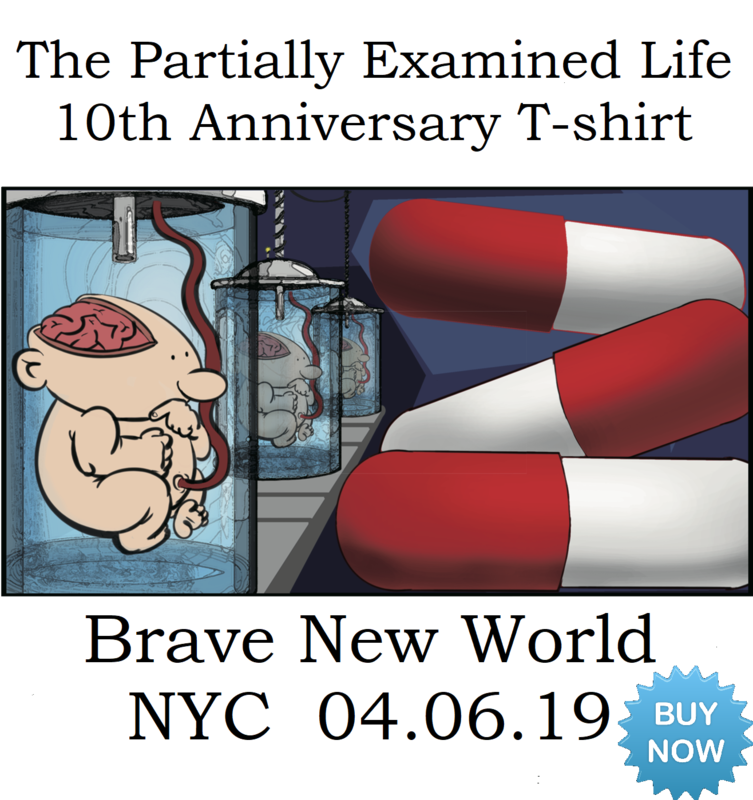 ), but the point in my story here is that to be charitable is not just what it sounds like to us, but for Spinoza is going to involve obeying. To obey God is for Spinoza both the same as obeying reason itself, but also obeying the state... since it is reasonable to obey the state (it being better than chaos) and since the state has the responsibility for being the arbiter of morality. So the "essence of religion" isn't just acting charitably, but acting charitably out of obedience, and that attitude, Spinoza says, will necessarily involve some minimal beliefs in what he takes to be the core propositions of religion. He calls these "the dogmas of universal faith" and they include things like believing that there is a God who is supremely just and merciful, He is singular and omnipresent, with supreme dominion over all things; that belief in Him is required to be saved, and that He forgives the repentant their sins. Now, this is quite a list, and since the state in Spinoza's view has to enforce this, he's advocating for a kind of theocracy, albeit a minimalist, non-denominational one that makes priests subordinate to the state. After puzzling through this, the PEL foursome finally discusses Spinoza's famed freedom of speech. Yes, he was ahead of his time and highly influential an allowing for such a thing, but he believed that this freedom has limits. Of course, so do we, but his limits are not the same as ours; he's okay with disagreeing with the government's decisions, and in fact wants open debate to result in better government, but when criticism gets strong enough that it's trying to undermine the government's legitimacy, then that's too far. So it would be OK for us to civilly disagree with Trump and advocate for him to lose the next election, but not to repeatedly point out his lying and incompetence in the attempt to somehow get him out of office soon before he gets us nuked or something. A lot of late-night comedians would still be jailed under Spinoza's version of free speech. The Tractatus Politicus mostly repeats the same information about the Hobbesian basis for Spinoza's political philosophy as the Tractatus Theologico-Politicus, except without all the religion talk. You can buy that book if you'd like, or read it online (it starts on p. 203 of this document). For more background about the relation between Hobbes and Spinoza, see this Boston College iTunes U lecture. Don't wait for part 2! Get the ad-free, unbroken Citizen Edition right now. Get a free audiobook when starting a 30-day trial at Audible.com/PEL. Experience 7 days of free online counseling at Betterhelp.com/pel. Go to blueapron.com/PEL for three free meals with free shipping. Get The Rise and Fall of D.O.D.O. at Harper Collins. Further to above, please consider taking up this (http://drsoroush.com/en/wp-content/uploads/MADANINEJAD-DISSERTATION.pdf ) and/or this (https://www.youtube.com/watch?v=Jbs7NFTp9nM ). The latter is by a woman whom also did a Doctorate of Philosophy at the University of Texas-Austin;, the former is from a traditional Shi’a Iranian scholar, trying to find intellectual room to presumably save the Islamic Republic from itself. Both are liberally-sprinkled, incidentally, with references to and conceits of modern Western philosophical craft. Are we getting closer to a potential ‘Spinoza of Islam?’ If not, I’ve got more to offer.